Something that every DJ starting out realizes pretty quickly is that it’s not as easy as it looks. It actually takes a lot of knowledge to become a good DJ, but most importantly, you need to make sure that you’re using the best DJ software for music production you can find. But that’s easier said than done, since there are so many different programs on the market, and they all seem to do pretty much the same things. We decided to dig deeper and find out how the top ten DJ software on the market compare and look at who they’re for, what they can do and what their pros and cons are. We started by listing the ten best ones, that has had the best reviews, and then we read up on them all to find out both what the makers say about them, but mainly what the DJs in the world think! If you find it impossible to choose your DJ software for music production, then why not try some of them for free before you commit? Many of them offer a free trial period so that you can try the software out properly. This also gives you an opportunity to compare the different software for yourself and see which one best suits your needs. What to Look for When Buying DJ Software? 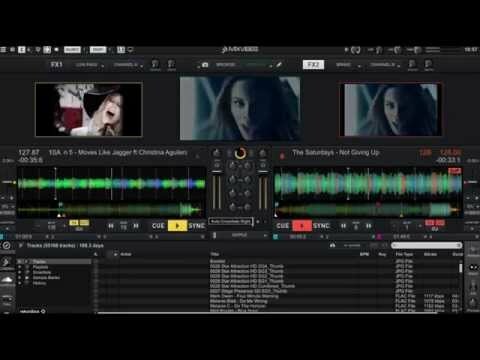 Best DJ Software for Beginners? 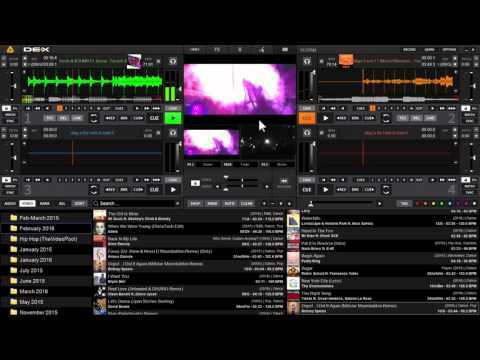 What DJ Software for Windows? 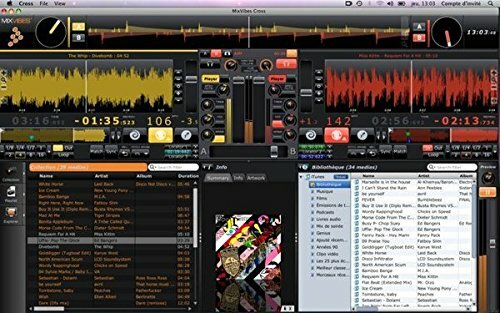 What DJ Software for Mac? Ready to look at our ten DJ software for music production? We’ve tried to make the process of choosing the right software as easy as possible for you and really break everything down to make it easy to understand, and we’ve also linked to YouTube videos that we think you should watch, to get a good idea of what all the programs offer. Lots of different audio effects like filters, echo, reverb etc. 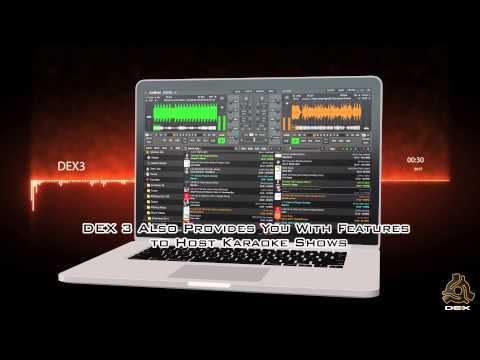 We’re going to start off this list with PCDJ DEX 3. 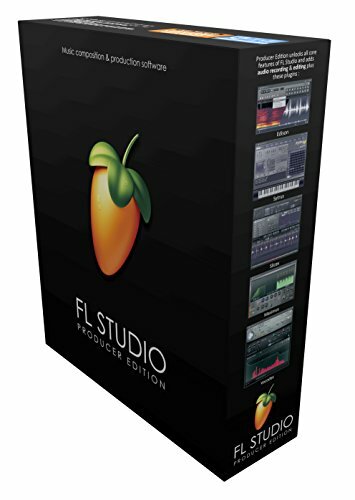 It’s a really good and versatile software for music production. + Lots of different audio effects like filters, echo, reverb etc. 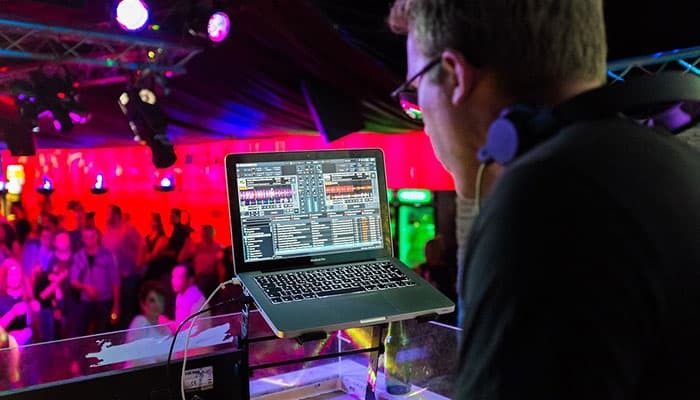 Why We Liked It - This DJ mixing software is a great, user-friendly software that is perfect for people who like to do a little bit of everything, from just regular gigs to karaoke nights and video mixing. 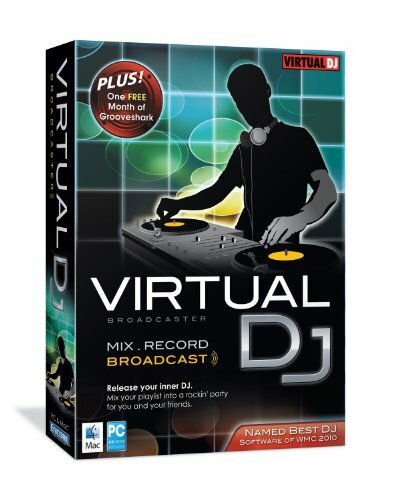 It’s hard to go wrong with this program since it’s really versatile, and it’s really good that it’s available with 4 full-featured DJ desks. This program will give you the freedom to fully control your music the way you want to and it offers no-latency playback. 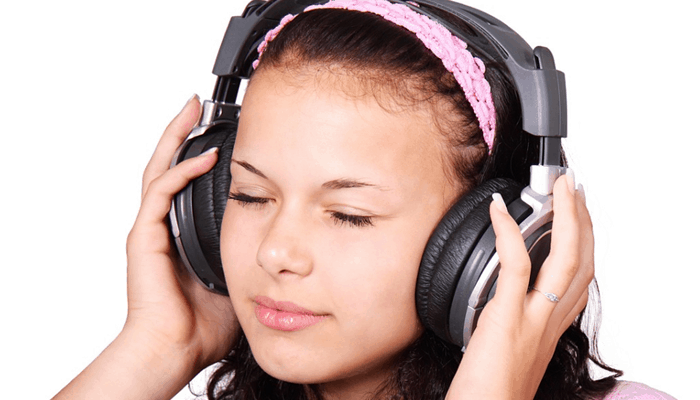 If you have lots of digital music on iTunes you’ll be pleased to hear that it automatically imports your playlists so that you can start working straight away without having to import them manually. Another great thing is that you can install it on up to three music production computers. If we say Ableton, what comes to mind? Most people who have heard of it would say that it’s a DAW, that is, a digital audio workstation. This means that it’s not really a DJ software, but a program that’s mostly used to record audio and create music digitally. As a DAW, Ableton is very well-renowned, and one of the best ones on the market according to many music producers, both professionals, and amateurs. But if Ableton is a DAW, and not a DJ software, why do we include it on our list? Ableton Live 10 is perfect if you want to kill two birds with one stone. Not all DJs/musicians like the idea of spending lots of money on two different software, which you traditionally must do if you both want to be able to DJ as well as record and create music on your computer. 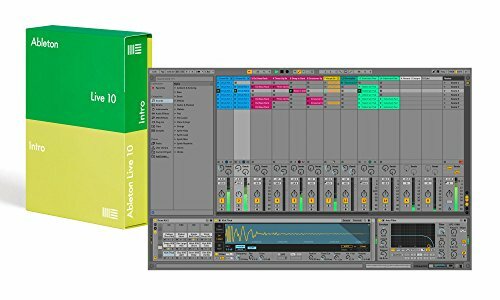 Ableton Live 10 allows you to do both, which is great if you’re the kind of person who DJs from time to time and need a program that works but also spends quite a lot of time in your home studio. As a DJ software it doesn’t really offer anything that other software don’t, but if you consider that you’ll be able to create music using over 1500 sounds, 29 audio effects, and 3 instruments, it suddenly is a lot more appealing to people with multiple interests. You can record audio using up to 16 tracks and it’s, of course, possible to connect a MIDI control instrument such as a keyboard to it. For some tips on how to use Ableton Live 10 for music production, head over to YouTube and watch this video where you’ll hear valuable advice from a fellow DJ. Why We Liked It - We would recommend buying Ableton Live 10 if you’re the kind of person who likes to do different music related things and both like to DJ and record and produce music and need a music production software that enables you to do just about anything. If you don’t want to spend money on getting two different programs for your musical creations, then Ableton Live 10 is definitely the right DJ software for you! 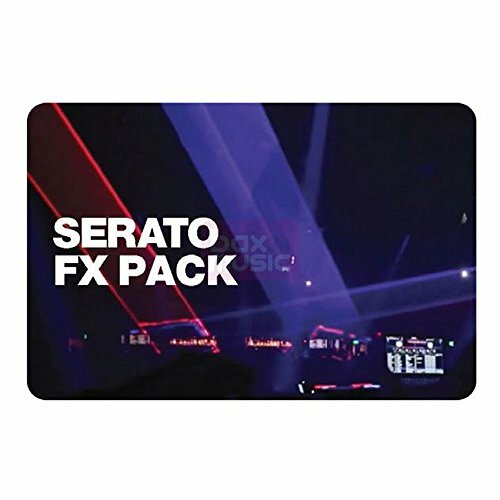 We’re now going to have a look at Serato DJ FX Kit, which is a piece of software that is developed together with iZotope, which is a company that is amazing at what they do, which is audio technology. FX stands for ‘effects’, and Serato can really brag about some really good effects for music production! One way to use these audio effects is chaining, where you load several FX into one unit. The audio will go from left to right moving through this chain of effects and this is an excellent way to make your music come to life and sound really cool, plus the possibilities are close to endless. Serato DJ Pro makes it easy to apply effects to your different remix decks, and you can choose whether to use the same audio effects for all the remix decks or adapt them individually. It’s easy to add accurate rhythm effects and you can even tap the BPM (Beats per minute, meaning the tempo) manually so that you get it exactly like you want it. One great thing about this music production software is that the basic program is easy to use and pretty, well, basic, which can be really good if you’re just starting out as a DJ. If you master the basic program and feel like you want to take it to the next level, there are expansion packs that you can download. Some of them are free and others cost money. 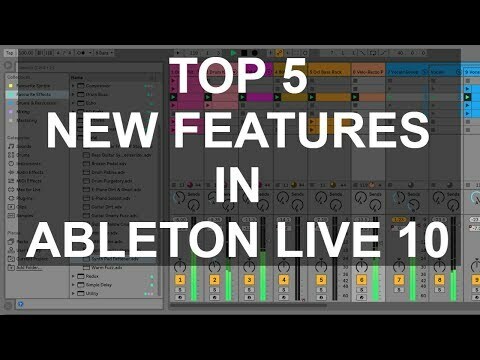 Remember the five tips about Ableton Live 10? 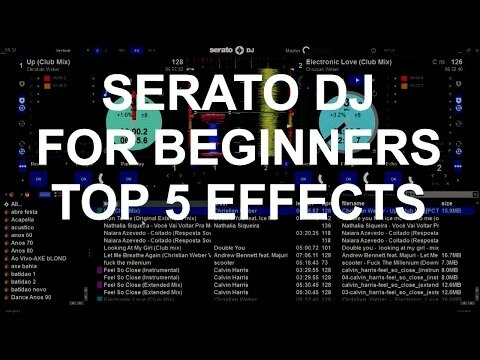 The same guy has made a video about Serato, and this video is great for beginners. Check it out now! Why We Liked It - So who should buy this great DJ software? We imagine that anybody who is serious about their career/interest as a DJ should look into this program to examine if it’s for them. You can try it for free for 14 days before you commit to buying it, which should be enough to make up your mind. 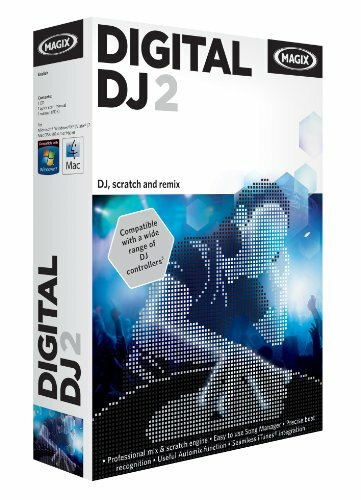 Let’s move on to a DJ software package that is many people’s favorite for music production. The Cross DJ Package is the perfect program for people who want to get a decent software without breaking the bank and who are willing to pass on advanced effects that they’re never going to use anyway and might just complicate things. 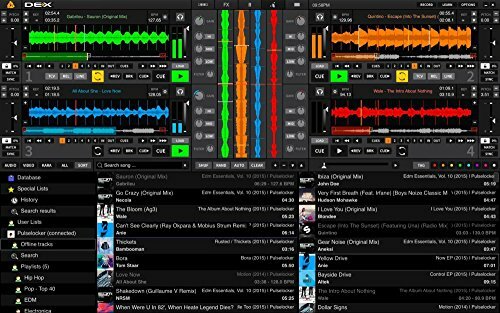 CROSS DJ is digital vinyl software package and you can get it for Mac and PC, but also for iOS and Android operating systems, which is great because it means that it’s finally possible to DJ from a tablet or even a smartphone! 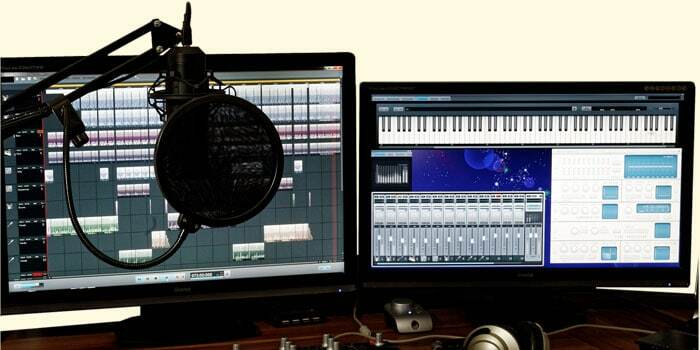 Efficiency and simplicity are two words that describe this music production software program well, and it’s easy to use and reliable. Why We Liked It - If you’re just starting out as a DJ, this CROSS DJ package is an excellent alternative! It’s basic and user-friendly and you’ll be able to get started in no time. Even DJ´s who have been working for a while can benefit from this software if they are sick and tired of programs with lots of different audio effects that you never use anyway. If you just want something really easy to use on your computer without buying any expensive hardware, you might like Virtual DJ Broadcaster Dsa for your musical creations. It offers a 99 deck capacity and you can adjust the tempo and pitch of your music and scratch with the mouse cursor to make it extra DJ-like (sounds like DJ turntables!). It also offers seamless transitions between the songs in your playlist. The program also features instant BPM detection. The only thing you need to make sure of before you purchase it is that you can use CDs with your laptop since you can’t download it. Why We Liked It - We would recommend this software program to kids and young people who have a dream of becoming a DJ and want to try it out for music production, or possibly adults that are hosting a party or a wedding and want to be able to do more than just put on a Spotify playlist. Number 6 is a good program for aspiring DJs who want a software for Mac and PC that is pretty easy to use as long as you’re willing to spend some time in the beginning to learn it. It’s not super easy, it does take some work to get into, and therefore it’s probably best for somebody who knows that they will use it from time to time so that you don’t waste a lot of time learning it, never to use it again. This program makes it easy to use songs from your music library on iTunes or music that you have saved on your computer, you just drag them to the right deck to aid with your musical creations. No matter if you want to simply play the music, remix it or scratch, this software can do it without any extra hardware. Why We Liked It - This software is a good choice for anybody looking for a pretty simple DJ software that will let them try out the noble art of digital DJing at a few parties or weddings. Next up is an amazing program that is so much more than just a DJ software for music production. 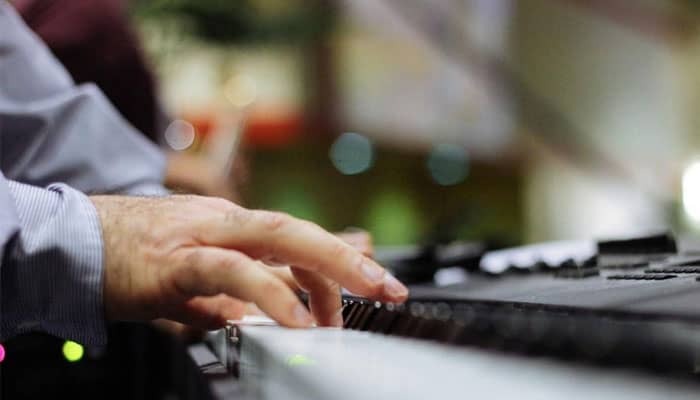 It’s a digital audio workstation that you can use to produce and mix music, but that also can be used for live performance, and it offers loads of different features like pitch correction, pitch shifting, time-stretching, harmonization and a lot more. One thing that we really like about this piece of software is that it includes lifetime updates, so it’s very good value for money. It’s a program that is very easy to use and get started with, and that offers loads of opportunities to create music in different ways. Why We Liked It - This program is great for anybody who likes to produce music as well as DJ and who needs a program that does it all. Are you a beginner who wishes to start as a DJ, but also would like to be able to record and produce music? 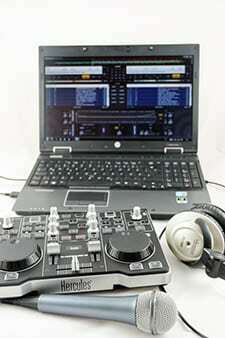 Do you want a program that is easy to use and specifically designed for people like you, with no DJ experience? 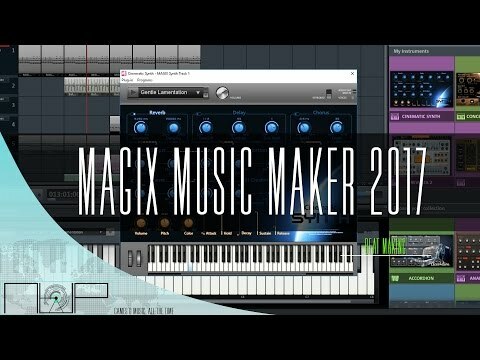 Then Magix Music Maker is the DJ software for you! It’s like a hybrid between a DAW (digital audio interface on a budget) and a DJ software, and it will enable you to do whatever you like! It comes with a lot of cool sounds, 8000 to be exact, and it features a wide range of virtual instruments and loops. It’s a really good software that is very easy to get started with and does it all. If you want to try this program out properly before you buy it, there is a free version that you can start your music production off with, which will give you a feeling of what it’s all about and might make you want to purchase the full version. Why We Liked It - This is the perfect performance tool for beginners who need something easy and user-friendly to start out with. It’s the perfect mixture of a DAW and a DJ software and will be a great help in all your music projects. Finally, we’re going to finish with a piece of software that doesn’t require any additional hardware, you can just use the software on your PC or laptop and you’re good to go! This is the kind of program you would buy if you’re having or going to a party and you want to try what it’s like to be a DJ, but you don’t want to purchase any real DJ equipment or fancy software that will cost a lot of money. It has everything you need to have fun with your music, and you can even record your own samples to personalize it even further. And you can, of course, add scratching audio effects to make it perfect. Why We Liked It - While no professional DJ ever would use this program, there are lots of beginners and children who would. It gives you a fun introduction to what it’s like to DJ and it’s a good place to start if you just want to try it out. The fact that you don’t need any hardware except for your PC or laptop makes it extremely affordable, but it’s worth to note that it’s a budget option that isn’t very good, compared to other programs - that's the bottom line. It’s not always easy finding the right DJ mixing software for you, but it’s worth all the effort since it can really make or break a performance. We really hope that you managed to find a program from our list that will take you to the next level as a DJ. There are a few questions you might want answering, like which DJ software is good for beginners and what you should think about when choosing your software. So, we’re going to answer some of the most common questions about DJ mixing software! One great thing about most DJ software performance tool programs is that you can try it out for a couple of weeks before you have to pay for it. This is the best way to find out if a particular software is right for you. When deciding which software to start trying out, you need to consider what level you’re currently on. Do you need something that’s easy to start with for a beginner, or are you advanced and looking to get as many audio effects as possible? Price is also important to most people, so choose your DJ software where you feel like you’re getting good value for money. Generally speaking, you get what you pay for, so if you can afford it, go for something proper that you won’t have to upgrade from any time soon. 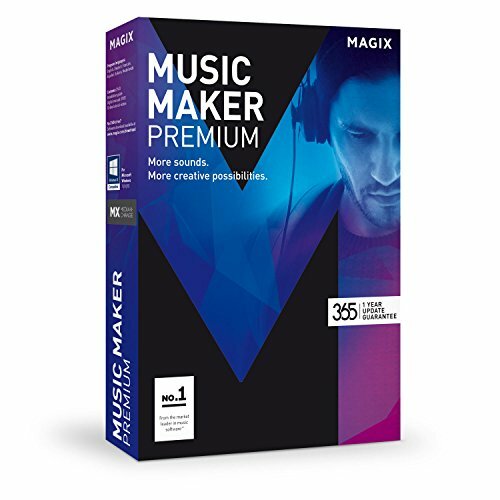 We think that number 8 on our list, Magix Music Maker, is a perfect option for beginners as it is designed to be extremely user-friendly. It’s also great that it’s part DAW (digital audio interface) and part DJ software so that you can record audio as well if you want to. Check out number 3 on our list, Serato DJ Pro. It’s a great, versatile software program that just has it all, including some amazing sounds effects! If you want to find a software that is easy to use we would suggest Serato, which is number 3 on our list, or number 4, which is Cross. They are both user-friendly and don’t feature too many weird sound effects that you won’t be using anyway, but they still provide you with everything you need to DJ. Most of the software is available for both Windows and Mac and it doesn’t really make a big difference if you use Windows or Mac. Before you buy a software app, see if they offer a free trial! There’s a difference between DAW (digital audio interface) and DJ software, so make sure you get the right kind of software or one that can do both!